The first killer song from Veere Di Wedding, Tareefan is out. Featuring Kareena Kapoor Khan, Sonam Kapoor, Swara Bhasker and Shikha Talsania, the music video also features rap artist Badshah. Produced by Rhea Kapoor, Ekta Kapoor and Nikhil Dwivedi, Veere Di Wedding is directed by Shashanka Ghosha. 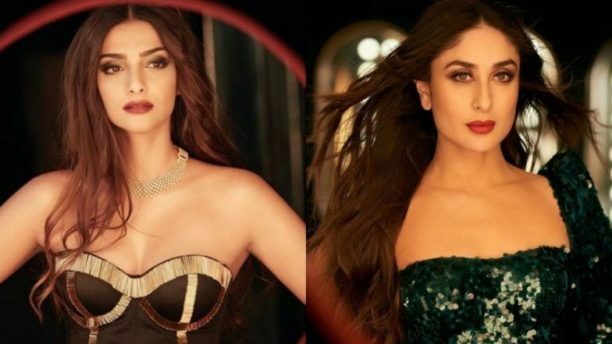 Seriously could Kareena look any more incredible, Sonam look any more gorgeous. Plus Swara and Shikha look too fine! Distributed by Zee Studios, Veere Di Wedding is a high spirited and upbeat story that talks about the lives of four childhoods best friends Kalindi, Meera, Sakshi and Avni, which releases in cinemas 1st June 2018. 15 queries in 0.403 seconds.